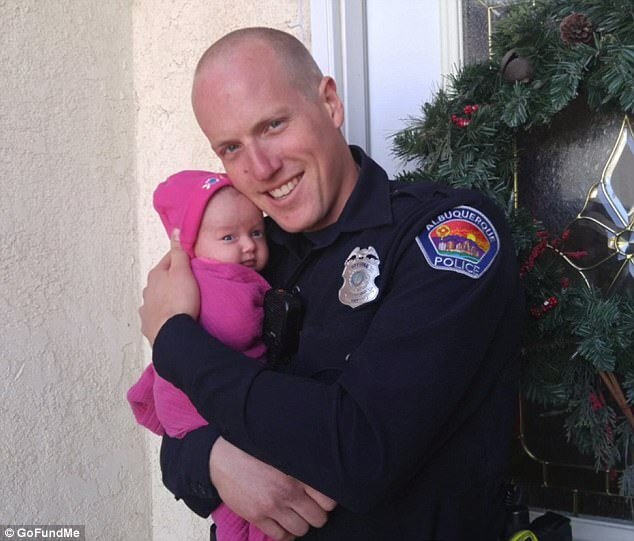 Police officer Ryan Holets is an an angel amongst men. The incredible father of four became a father of five when he adopted the baby of a pregnant, homeless drug addict he met whilst on duty. 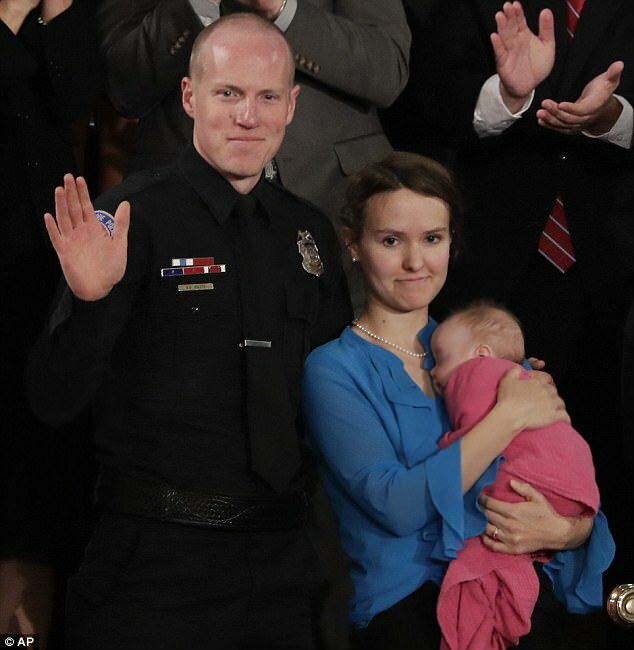 Holets was a special guest at last month’s State of the Union, alongside his wife Rebecca and newborn baby, Hope. 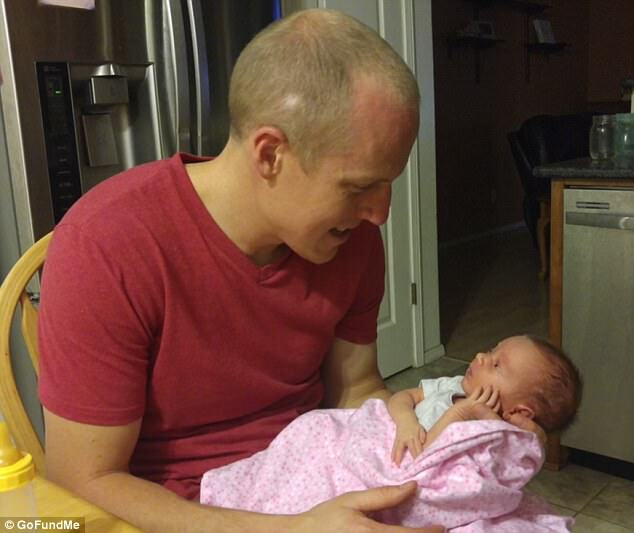 The 27-year-old told CNN that Hope’s birth mother Crystal Champ and her partner Tom Key are now 40 days sober. “I lose track of time with everything that’s going on, [but] I was recently talking to Crystal on the phone and she was saying she’s excited because their 40 days mark is coming up,” Holets, 27, told CNN’s New Day. Holets first met Champ in September, while responding to a possible theft from a convenience store. He came across Champ and her boyfriend Tom Key. 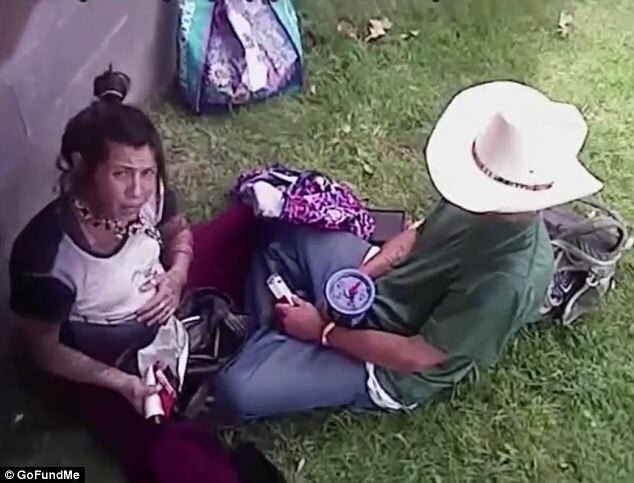 They were leaning against a cement wall and shooting up heroin in broad daylight. Shockingly, Champ was 8 months pregnant at the time. The unbelievable moment was recorded on bodycam and was later aired by CNN. In response, Champ broke down in tears. During their 11 minute conversation, she revealed she desperately hoped someone would adopt her baby. Without thinking, Holets offered to do just that. 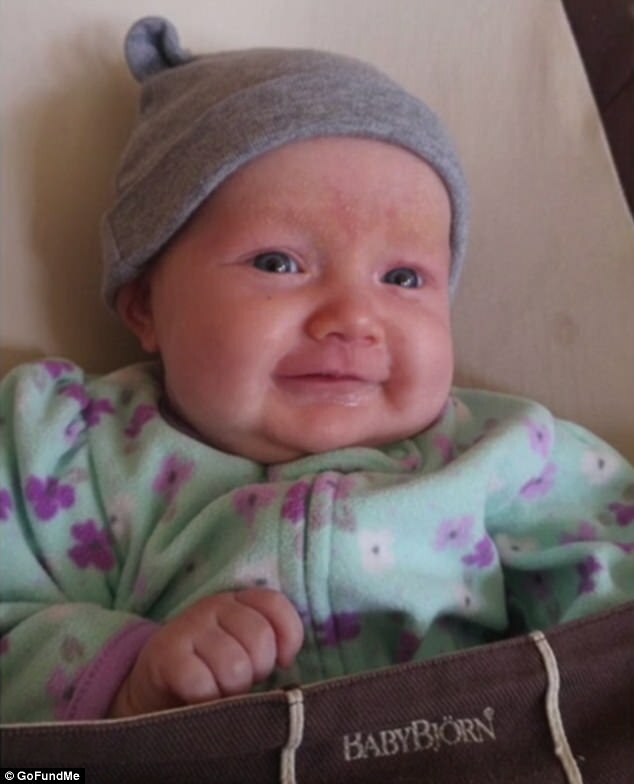 Hope was born on Oct. 12, one month earlier than her due date. The tiny tot was treated for heroin withdrawal. Holets revealed in December that doctors wouldn’t know the true effects of the drug until she is older. A GoFundMe page was started to help Champ and Key pay for drug rehabilitation. Initially, the pair were reluctant to get help — especially Champ, who has battled addiction since she was a teen. Chamo had been homeless for more than two years before meeting Holets. She would spend up to $50 a day on scoring hits of heroin. “I did give up. 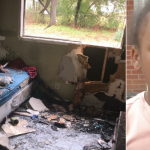 I just decided this was going to be my life,” Champ told CNN — adding that she tried to multiple times to get clean, but always failed. Eventually, the duo agreed to enter a live-in rehabilitation center.